Most users are interesting to download their favorite Cydia application with iPhone, iPad & iPod devices. More than 80% of Apple users are now running their devices with iOS 11 and iOS 10 versions. We have received many messages regarding Cydia download for iOS 11 and iOS 10 latest versions. This will help you to find possible ways to get Cydia for your device. Also you can get real method to install Cydia for any iOS version. Jailbreak – This is one and only method to download Cydia for your device. You are unable to install Cydia application without jailbreaking your device. 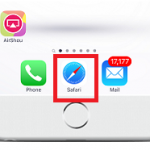 Online – Cydia application unable to download with online applications. But you can install jailbreak applications directly to your device with online apps. Then users can run jailbreak apps to get Cydia application. Please follow cydiainstaller.net methods to get Cydia app to your device. Because you can see many fraud online apps are ready to install Cydia application. These applications are unable to use to install Saurik’s real Cydia application. Bookmark – Cydia unable to install with Bookmark methods. 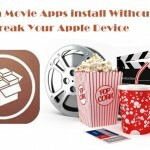 Add to Home – This is also wrong method to install Cydia application. Paid Apps – Cydia unable to download with paid applications. Cydia application owned by Saurik and their company. They never selling this valuable application. You can follow our jailbreak tutorial to get Cydia for your iPhone, iPad or iPod. 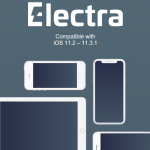 This will really help you to install real Cydia application properly. Cydia app unable to install on latest iOS versions this moment . But you can install Cydia alternative applications to download your favorite apps without jailbreaking your device. Specially TutuApp, vShare, Emus4U, AppValley and much more apps can use to customize your device. Your favorite Cydia app will ready for iOS 11 soon with jailbreak update. Please wait until jailbreak tool release for public. 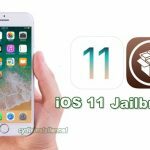 We have seen Keen Lab demonstration about iOS 11 latest version jailbreak. So this is not too far away from you.